The density and elastically of the titanium helps it to complement the sound of any snare. It also allows for precision turing with a wide range. 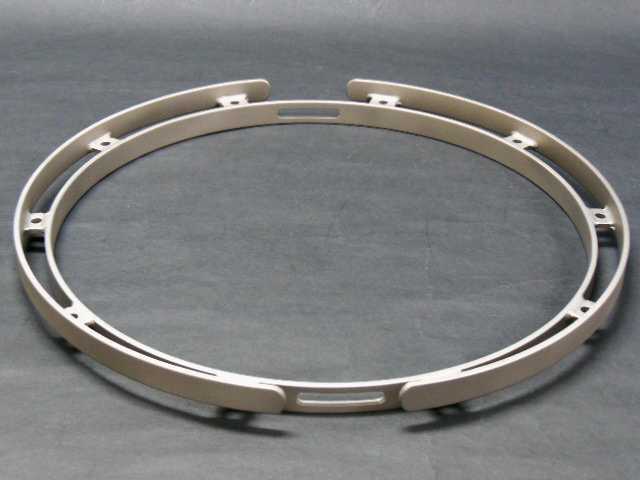 The extremely ligjtweight hoops are said to produce higher tones and greater crispness while reducing physical stress on the player. In my case, I heard a significant difference in the sound od my drum. It was much livelier and more responsive. There was greater body and a define increase in playability. So I'd have to think that the addition of Kitano titanium hoop would be a serious upgrade to any drum.